You may be eligible to receive 100% treatment coverage through your insurance provider! We have provided personalized, compassionate, and effective treatment for over 7,000 individuals! Discovery Institute offers the #1 Drug Detox Program in Marlboro, New Jersey. Discovery Institute believes that treatment must effectively address both one’s medical, mental, and spiritual health. Most often, an individual’s path towards recovery is rooted in their struggles with relationships, family dynamics, social skills, and lack of mental health awareness. In our view, the goals of recovery are global — necessitating a total change in lifestyle that encompasses an individual’s re-evaluation of values, attitudes, behavior, and social activities. Discovery Institute believes that for individuals to stop using drugs and alcohol, our rehab in NJ is most successful when the client, family system, and social support network are integrated. Discovery’s experiences in helping individuals seek recovery from drugs and alcohol has taught us there is more than one approach that can be successful. For this reason, Discovery has incorporated such components as group and individual therapy, educational seminars, and an active involvement of the 12 steps. For those who need it, residential treatment is provided, in our Marlboro, New Jersey location, by a professionally supervised community of recovering peers. In this structured setting, clients work together (with staff guidance) to develop a capacity for the recognition, expression, and understanding of their drug and alcohol problems. They also gain the skills that are necessary to change negative thinking patterns and behaviors. Most importantly, they recognize that their addiction has not left them alone. Discovery Institute does not promote to be a country club retreat or a quick fix solution to what we know is an extremely complex, painful, and, in many instances, long standing problem. Our program is flexible but can also be demanding. Our residents take responsibility for the upkeep of their home through participation in such duties as cooking and general maintenance. We promote individual freedom and the will to recover through a structure of responsibility, sharing, and commitment. At Discovery, each individual, through their efforts and actions, is responsible for the pace of recovery. We have found this to be most effective and families have provided testimony about their experience with our wonderful treatment services. 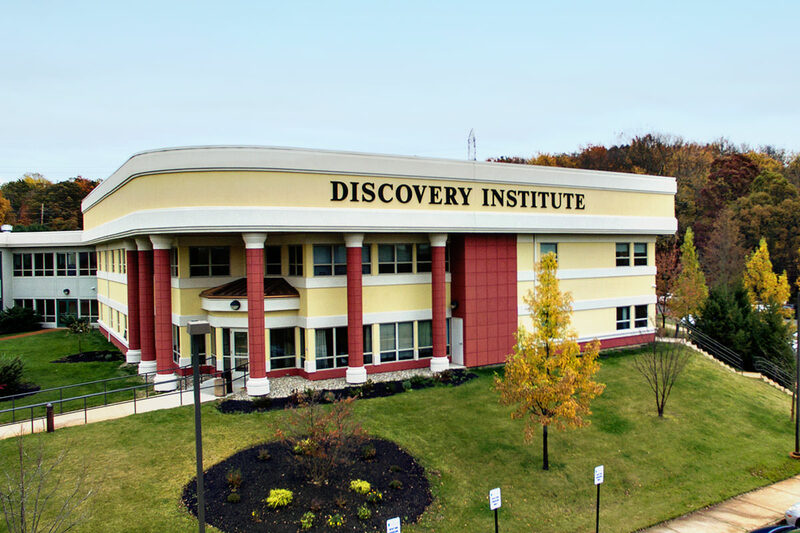 Discovery Institute, established in 1970, is the oldest provider of adult substance abuse, behavioral health services and NJ detox centers for drugs and alcohol. The 10,000 square foot, 2007 new facility is located on a beautiful wooded setting at 80 Conover Road in Marlboro, New Jersey. Addiction and substance abuse can be impossible to overcome by yourself, even if you tell yourself that you can stop without help. Being trapped in the vicious cycle of addiction can make you feeling completely isolated and alone. But you are not alone, and we at The Discovery Institute are here to help. How does it work? It all begins by calling us at 844-433-1101 and speaking to one of our admissions coordinators. Our knowledgeable staff can assess your personal needs and point you in the right direction, to the program best suited for you. Discovery Institute prides itself on being one of the foremost drug and alcohol addiction treatment centers in the Northeastern United States. We lend our four decades of addiction treatment experience to each and every one of our client’s unique set of needs. My experience here at Discovery Institute has been very valuable during my 90 day stay. I have learned more about myself and the importance of applying the tools Discovery has taught me once I leave…Without the treatment I received here it would have been much more difficult to uncover these fears I am now overcoming…With the help of caring counselors, I was challenged to work on some areas I struggled with…I want to the my counselor for caring about my overall welfare. I have learned a lot from her. She never gave up on me but instead stuck by me until the end because she believed in me…Thank you Discovery Institute for your help. I am forever grateful and will keep all the staff and peers in my prayers and heart. Although it was a short stay at Discovery, I feel I got a lot out of meetings, commitments, feed back, and advice from my family. But most of all, I felt great progress happened in group and one on one’s with counselors. I feel ready to deal with reality on my own and with support from family. Overall, it was a good experience as I feel I have learned many ways to deal with recovery through meetings, sponsors and a Higher Power; and no longer need alcohol to function. When I first arrived at the Discovery Institute I didn’t have gratitude or acceptance. Also, I was still in denial that my life was unmanageable and that I could still control my drug use and/or the lifestyle I was living. Going through this process at the beginning, I had anger towards the court system, myself and events that happened in the past….Realizing that counselors here knew a lot more than I did; all I needed to do was listen, surrender and prepare to change my life. I didn’t know who I was or what purpose I was serving. Learning from my counselor the most knowledgeable thing was that I do have a purpose; I deserve the life I dreamt of as a kid. I’m truly grateful I had the chance to be a part of Discovery Institute and had the counseling I’ve had since coming here. I feel new and improved. Dear Steve and Pete, I enjoy my time here at Discovery House. I really believe that the structure program is working for me. I arrived at Discovery broken, scared and spiritually bankrupt hurt with an unfillable void. Sadly, I was at the end of my rope. I had no clue as to why I abused drugs & no reasoning for my unspeakable actions. I have been working the program for 25 days and everyone agrees, I’m a totally different person. Today I am a better me than I ever was. Throughout this process I have learned that my addiction is a disease and with the help of my amazing counselor, Lauren & the wonderful staff here, I am on the road to recovery. Discovery saved my life. I want to do for discovery what it did for me, be better. My experience at Discovery has inspired me to help the sick & suffering who have been through the same hell as I have. Thank you for my life back. I was there in 1994 and could not have guessed in a billion years how much my life would change!!!!!! Thank you. What Is an Enabler in a Drug Addiction and How Can You Identify Them?